Texting while driving is among the most dangerous forms of distracted driving, tripling the risk of having a car accident. 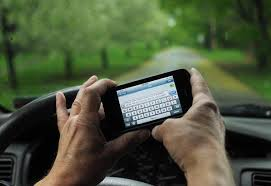 In spite of the fact that 40 states currently ban texting and driving, many people still text while behind the wheel. Police say that it’s often difficult to detect, but law enforcement agencies are working harder than ever to change that. In many instances, state and federal agencies are providing funding to implement programs that will aid law enforcement in cracking down on texting drivers. In Alabama and Tennessee, authorities are using big-rig drivers to help them catch you texting while driving. They have a bird’s-eye view of what drivers may be doing. When they spot a driver texting, they radio ahead to a state trooper who will pull over that driver. In New York, for example, the governor has spent $1 million modifying SUVs to make them sit higher on the road. These spotters also use radio contact with police and state troopers to stop drivers who have been texting. First-time offenders are hit with a fine of between $50 and $150 as well as five points on their licenses. New York State troopers handed out almost 6-thousand distracted driving tickets within a two month period last summer. The National Highway Traffic Safety Commission awarded the state of Connecticut $2.3 for towns to experiment with various high-visibility enforcement measures. Spotters stand where they can clearly see vehicles passing, such as at intersections, stop signs and traffic lights. The spotters may then report the unlawful texting to an officer who will issue the citation. Police officers also may use your phone records to determine whether you were texting in the case of a car accident. It is not something they often do, but if the crash is serious enough, with injuries, police may subpoena phone records to help determine who is at fault. Police may soon have a new tool in their arsenal for detecting drivers who are texting. A Virginia company is developing a radar-like device that detects radio frequencies that are emitted from a vehicle when someone is using a cell phone. The device can tell the difference between a phone call and text. It’s not on the market yet, but it may not be long. What do you think about this type of intrusiveness into your personal life? If it saves lives, maybe it’s worth it.